She-Devils drop their self-titled debut LP later this month, but before the record arrives, the Montreal duo have unveiled a new video. 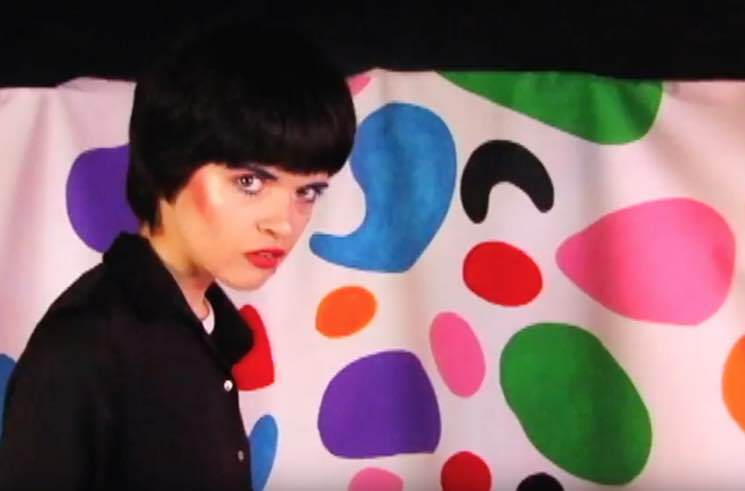 Previously shared single "Hey Boy" has been given the visual treatment by bandmates Audrey Ann Boucher and Kyle Jukka, who looked to Yayoi Kusama's art, '90s kids TV programs and '60s ye-ye music videos for inspiration. The result is a bright blast of colourful images that are as mesmerizing as the retro-sounding tune itself. Check it out below. She-Devils is due out on May 19 through Arbutus Records, and you can see the band's upcoming tour dates here.